Color wheel and why One should use a color wheel when shooting video. By Netcommercial. Not many of us use a color wheel when shooting video these days. I think it is maybe that we expect the camera we are shooting with, to get the color right with it’s “Auto features. However it would be prudent to follow these steps to save some aggravation later, when editing. I must state the obvious, light will change any color a shade or two, enough to cause it to look washed out; or off color. Here is a real simple task to do in the beginning of shooting of any scene. One should use a color wheel to capture true color. At the very least, use a White sheet paper to get a proper White balance for a reference point later. This way, your editing software will have some focal point or calibration point. When and IF correction is necessary or desired when later editing the shot, scenes or footage you will have a reference point. Although this will overcome white balance issues, it won’t give a calibration point for color correction later when editing. This is why you really should use a color wheel. In a pinch? Do not have a Color Wheel? No problem. Click on the pictured color wheel above. The Color wheel will enlarge and your printer should get the colors right if the ink is full enough in your printer. (No fade). Simply shoot the color wheel at the beginning of your shoot on a ‘hot’ set, so the editing software knows what Blue is supposed to be along with any other color. This is handy when editing and you want to use auto color correct and your looking around in the footage and trying to find something in it with True Color. Sometimes, for whatever reason or another, a color may not have come across the lens as anticipated. Or a color needs some sprucing up because you messed with Hue or another effect in editing. This is how you attain or make available Color correction every time you shoot. Simply hold that color wheel, step in front of your camera on your ‘hot’ set with lights up, or have your Model or Actor hold the color wheel before you start shooting a video scene. State the kind or color of lights, as mentioned in this article Things to look out for’ to refer to for later reference. By doing this 30 second step “if that” you will have a hundred fold control when editing your footage later. Along with learning what works best in different color lighting. That is why a color wheel is used when shooting video. 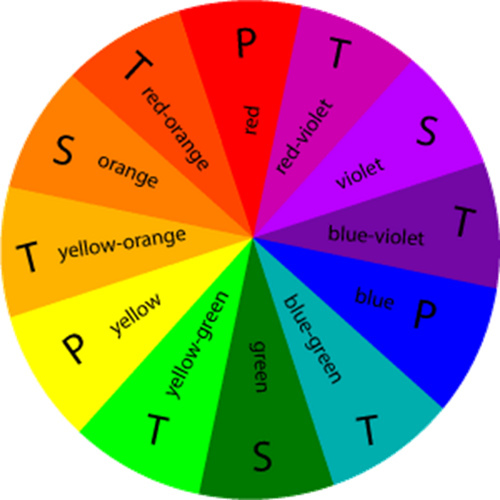 As always please include the words Using a Color Wheel with your comment or experiences so I know you are not SPAM Comments. All rights reserved. To share this article one should use the URL or Tweet it, not by cut and pasting the article.